Beauty Base has a presence in several areas of London including Westfield Shopping Centre as well as in Ealing, Hounslow and Bayswater. But even if you can’t make it to one of the stores, there’s a huge selection of perfumes online to choose from. You’ll find classic fragrances from the likes of Versace, Calvin Klein and David Beckham as well as celebrity fragrances from Cristiano Ronaldo, Shakira and Ariana Grande. For those who prefer fragrances made from more natural ingredients, there are also alcohol-free fragrances to choose from. There are other reasons you might want to consider shopping with Beauty Base as well. For one thing, you’ll get a free sample with every order, and if you’re buying something as a gift, there’s a free gift-wrapping service available. And with free delivery on many orders, not to mention next day delivery options available, you won’t have to wait long to try out your favourite new scent. How do I use my Beauty Base discount code? Click on the discount code you want and follow the link to Beauty Base’s website. Add the items you want to your bag. Before you reach the payment window, add your vouchercloud discount code. Proceed to the next step and add you personal details and billing address. Select your delivery preferences and enter your payment details. 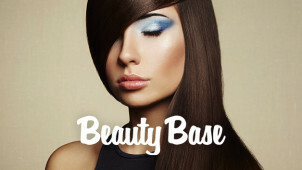 To find out about the latest reductions, check out the Beauty Base Sale section. Which courier companies does Beauty Base use? Currently, Beauty Base uses Royal Mail, DPD and Yodel for all its deliveries. Can I buy a Beauty Base gift voucher? Yes, you can. Find out more about Beauty Base Gift Vouchers here. How can I track my Beauty Base order? Once you place your order, you’ll be sent an email with a tracking number which you can use on Royal Mail’s track and trace service. How can I find my nearest Beauty Base store? Enter your postcode into the store locator to find your nearest outlet. You can also get in touch with this contact form. Standard Delivery: 3-5 days. £3.95 on orders under £35. Free on orders over £35. If you need to cancel an order, please get in touch with Base Beauty as soon as possible via online@beautybase.com. Looking to get a gift for someone who loves perfume? Want to try out the latest celebrity fragrances? If yes, then a visit to Beauty Base is for you. On top of its online store, Beauty Base has 9 shops spread across London, and when you shop with a Beauty Base discount code, you’ll be able to get some great prices on a huge range of designer perfumes for men and women. Beauty Base is a family-run business and has been ever since it was first established in 1975. A commitment to customer service is at the heart of the business. But you can also rest assured that all of the products you buy from Beauty Base are 100 percent genuine. All Beauty Base stock is supplied directly from the fragrance producers themselves, so you’ll find no fakes, only the genuine articles from brands such as Agent Provocateur, Chanel and Dolce & Gabbana. If you’re looking for a present for someone, why not have a look at Beauty Base’s Gift Sets. Made for a range of budgets, and for both women and men, these are a perfect way to make a friend or partner feel special, or just a way to pamper yourself. Get one today using a Beauty Base voucher code and take advantage of these fragrances combined with shaving and shower gels, lotions, aftershaves and deodorants.